A nineteen-year-old Israeli citizen of Arab ethnicity was among the 39 people killed in the recent attack of an Istanbul club, for which the terrorist group Islamic State claimed pride of ownership. Lian Zaher Nasser was from the Israeli Arab city of Tira, and, since she had no travel insurance, her family asked the local municipality for help in bringing her remains home. The municipality turned to the Israeli government, and the Interior Ministry immediately agreed to fund the return of the body and made the necessary arrangements. ZAKA coordinated the logistics and transportation. Dr. Tibi, a doctor who trained at Hebrew University, is often described as “witty” and “charming.” A vocal Palestinian nationalist, he opposes Islamism and, as per his funeral comments, the terrorism it embraces. He is also a hypocrite. 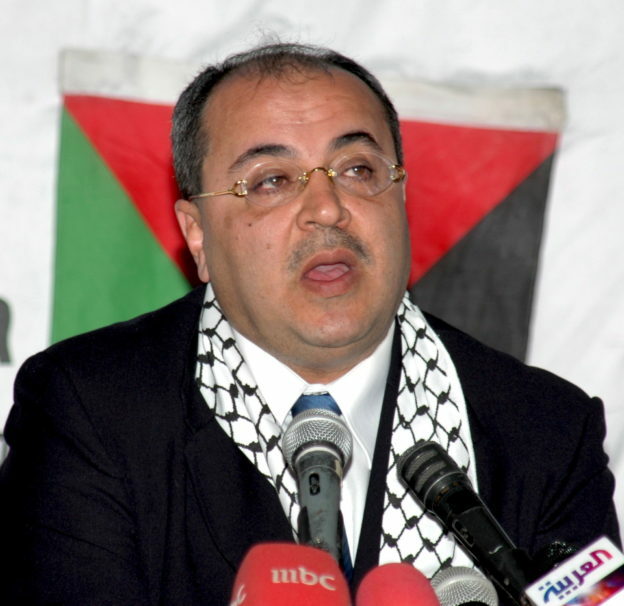 Mr. Tibi, at that same event, explained that “The shahid is the trailblazer, drawing with his blood the path to freedom and liberation.” And he offered his blessings “to the thousands of shahids in the homeland and abroad, and… to our shahids and yours, inside the green line, those the occupier wants to dub terrorists, while we say there is nothing more exalted than those who died for the homeland.” Deaths, that is, resultant from the act of murder. After all, despite all the Arab propaganda, Palestinians are not killed for passive resistance. And, as was seen in recent days, in the case of Sgt. Elor Azaria, who illegally dispatched a terrorist whose absence from the world left it a better place, when an Israeli soldier, in a rare occurrence, uses lethal force where it wasn’t necessary, he is put on trial and convicted. This past July, Mr. Tibi paid a visit to the Hadarim prison, to pay his respects to Marwan Barghouti, the terrorist responsible for a number of terrorists attacks in 2002, including one at a gas station in Givat Ze’ev, in which 45-year-old woman was murdered, one in Ma’aleh Adumim and another one at the Seafood Market restaurant. He was acquitted for 33 other murders of which he was accused; there was insufficient evidence of his direct involvement. Currently serving several consecutive life sentences, he continues to regularly incite violence against Israel from his prison cell. Maybe he would try to make some distinction between religiously-fueled murder and politically-fueled murder. Maybe he would describe Palestinians’ aching for a homeland (other than Jordan, Syria and Gaza) as something that justifies wanton mayhem. But, were he an honest man, not just a charming one, he might just admit that the key to his distinction lies not in such philosophical assertions but rather in the very words he used during his eulogy for Miss Nasser – his reference to the fact that “most of the victims” of Islamic State’s “crimes are Muslims” and the fact that most of the victims, and all of the targets, of Palestinian “freedom fighters” are Jews. This entry was posted in Anti-Semitism, Israel, News, Personalities on January 13, 2017 by Rabbi Avi Shafran.